You have limited time to devote to chess study, and most of that goes to reviewing your openings to move 25, with all their sidelines. Sound familiar? Here’s a solution: surprise your opponent in the first four moves with The Elshad System! In a groundbreaking survey of this emerging counterattack, FM Igor Nemtsev proposes a shocking approach to the closed openings featuring an early …h7-h6 and …g7-g5. Black’s king typically remains in the center, while the white monarch is subjected to a withering kingside offensive. Best of all, the “safe harbor” of general opening principles to meet your unconventional strategy is possibly the worst way for White to respond. Even grandmasters can fall victim to the Elshad, especially in blitz and rapid chess. 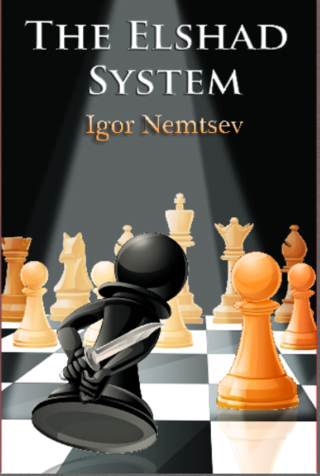 A chess trainer in Russia for 25 years, FIDE Master Igor Nemtsev provides in-person and Internet instruction, including children's classes and webinars. PDF Version Text Searchable 8Mb.